There are two common approaches to pick a stock. The first is fundamental analysis and the second is technical analysis. However, fundamental analysis and technical analysis follow a completely different route to pick stocks. Both fundamental analysis and technical analysis can be used to determine if an investment in stock is attractive or not and to further forecast the future trends of stocks. For example, if you are evaluating 10 stocks and want to determine which one you should purchase, then you can use either of fundamental vs technical analysis of stocks. Fundamental analysis checks how healthy the company is compared to its competitors and economy. It studies everything related to the company like its financial statements (Balance sheet, profit loss statement etc), management, competitors, products, economy, industry etc. 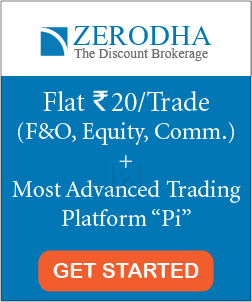 Related Post: How to do Fundamental Analysis on Stocks? On the other hand, technical analysis does not care about the financials or the industry. It evaluates the company based on past trends, prices & volumes. Technical analysts use stock charts to identify future trends and patterns. What is the Intrinsic Value of a company? In short, the Intrinsic value is the true value of a company. Fundamental analysts believe that the current stock price of a company may or may not be same as its intrinsic value. They evaluate companies to find which one is trading below its true intrinsic value using different studies like financial statements analysis, stock valuation, economy analysis etc. Once they find a company which is trading below its intrinsic value (also considered as undervalued stock), they hold this stock until it reaches its true value. A stock trading below its intrinsic value is considered a good investment opportunity. Overall, the approach followed in fundamental analysis is to find the intrinsic value of stocks. If you want to learn fundamental analysis from scratch, I would highly recommend you to read this best selling book- ‘The Intelligent Investor’ by Benjamin Graham. Warren Buffett considers it as the best book ever written on investing. On the other hand, Technical analysts believe that there is no use to analyze companies intrinsic value as the stock price already reflects all relevant info. They do not care about the financials of a stock. They predict the future performance of a stock based on its past stock price trends. If you want to study more about the technical analysis approach, here is a great book to start- ‘A random walk down wall street’ by Burton Malkiel. Now that we have little understanding of both fundamental vs technical analysis of stocks, let us discuss both there methodologies in details. Here, we will compare fundamental vs technical analysis of stocks based on different criteria. Fundamental analysis analyses all the factors that can affect the stock price of a company in the future like financials, management, industry etc. It evaluates the intrinsic value of the company to find whether the stock is under-priced or over-priced. Technical analysis reads the past charts, patterns and trends of the stocks to predict its future price movement. If you want to study value investing for Indian stock market, here is an amazing book which I personally recommend you to read: Value investing and behaviourial finance- Insights into Indian stock market realities by Parag Parikh. Fundamental analysis approach is used for long-term investments. Technical analysis approach is used for short-term investments. Fundamental analysis gathers data from financial statements of the company along with other economic news sources. Technical analysis gathers data from the stock charts. Technical analysis uses charts like candle sticks, price data etc. Various technical indicators that are commonly used are MACD, Simple moving average, EMA, RSI etc. Fundamental analysis studies the financial data like balance sheet, profit and loss statements and cash flow statements. It also examines other factors while evaluating stocks like competitors, company’s management, industry, economy etc. Fundamental analysis focuses on both past performance and future potential. Technical analysis studies the market movement and public psychology. It is mostly the analysis of the past price movements of the stock. Technical analysis focuses on the performance chart and the trends of the stock. Fundamental analysis is used to find the intrinsic value of the company to evaluate whether the stock is over priced or under priced. Technical analysis is used to find the right entry and exit time from the stock. New to stock market? 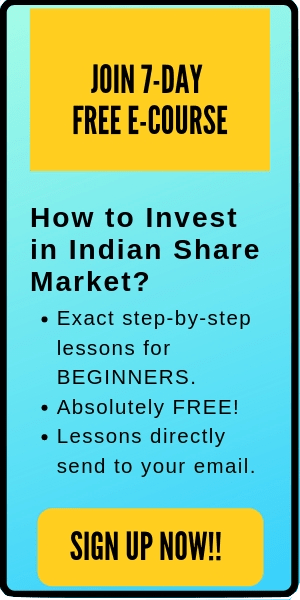 Check out the upcoming course on ‘How to pick winning stocks?’ here. Fundamental analysis invests for the long-term and their returns are quite huge. Power of compounding is applied to the long-term investments resulting in good returns to the investors. They invest in financially sound companies which is always a good approach. Fundamental analysis is quite laborious and its methodology is lengthy & complex. There is no clear time frame for long term investment. As the future potential of the company is considered in the fundamental analysis, various assumptions are made in this approach. As the entry & exit time is not specified in fundamental analysis, you might buy a good stock at a bad time. Technical analysis is fast and the outcomes can be seen quite early. This approach is comparatively less laborious. Entry and exit time for the stock can be specified. Technical indicators readily give buy or sell indication. As there are a number of technical indicators, it’s tough to select a good indicator. As technical indicators do not study the financials, you might be investing in a financial unhealthy company. Technical analysis skill requires a lot of accuracy, reliability, and discipline. Can fundamental and technical analysis be used together? Yes, fundamental analysis and technical analysis can be used together. Many investors/traders use both the approaches. It makes sense to enter in a fundamentally strong company at a right time. While fundamental analysis helps to find a healthy company to invest, technical analysis tells you the right time to enter or exit that stock. In short, you can use both fundamental and technical analysis of a stock together. Fundamental vs Technical analysis of stocks, both are effective yet quite different methodologies used for research of potentially strong stocks. It’s really tough to say which one is the better way of investing. Although a number of books have been written on both fundamental and technical analysis, however this debate on the better way of investing is still going on. My suggestion is to do your own study and make your investing strategy based on your knowledge, preference and time. Do comment below which investment strategy you follow- Fundamental analysis or Technical analysis.